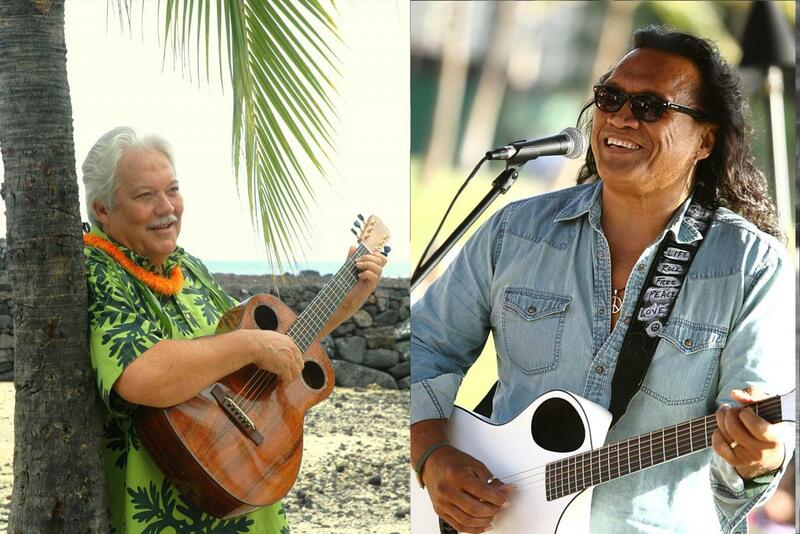 Keola Beamer & Henry Kapono are Hawaiian music legends who gained fame in the 1970s and have played a major role in the creative renewal of Hawaiian music over the past four decades. The New York Times calls Keola “the quintessential Hawaiian slack-key master.” The Honolulu Star-Advertiser calls Henry “one of the great island songwriters of his generation.” Keola’s wife Moanalani is a Kumu Hula, or hula master, who dances, chants, sings, and plays percussion. Tonight, Keola and Henry will each perform a set, then join forces onstage to celebrate their original songs that have become beloved classics of contemporary Hawaiian music. Keola’s 1978 album, Honolulu City Lights, is still the best selling album in the history of Hawaiian music. He remains a premier singer, songwriter, and slack key marvel. Henry became famous as half of Cecilio & Kapono, aka C&K, his wildly popular duo with Cecilio Rodriguez. Both Keola and Henry have won numerous Na Hoku Hanohano awards, the Hawaiian equivalent of the Grammy. In 2014, Henry invited Keola and Moanalani to perform in his Back in the Day tribute to the Hawaiian Renaissance, the seminal movement that brought language, music, hula, art, and all aspects of Hawaiian culture back to their central place in the life of the islands. The collaboration was a huge success, and tonight they bring it to the Freight!